because November is a busy month in terms of her album anniversaries! I will not put up another feature regarding her albums until next year but I wanted to look at Aerial because, not only is it thirteen on 7th November, but few people actually expected it to be released! The fact she has a book of lyrics coming out and is a series of remastered albums before the end of the year suggests any notion Bush is a reclusive and quiet artist should be put to rest. Although she has not released a studio album since 2011’s 50 Words for Snow; the fact she is gearing up for fresh activity suggests she is in the sort of mood to at least tease a new album – who knows what next year will bring?! I am sure something, in some form, will arrive next year but we must be patient! Her album, The Red Shoes, came out in 1993 and that was after an four-year gap (The Sensual World was released in 1989). There were reasons why there was a bit of a hiatus after The Sensual World. Although Bush was never known for her consistent series of albums; she has released two albums in 1978; one in 1980; another in 1982 and another in 1985 – five albums in seven years is quite a lot from someone who was putting her all into every note! 1982’s The Dreaming took its toll and Bush needed to relocate to the country to find new energy, space and impetus. Hounds of Love was a great and rewarding experience but, again, one that took energy from her. By the time she had finished with that, and after heavy promotion, got down to recording The Sensual World; you could tell there were some strains and a need for a rest. 1993’s The Red Shoes was a strange album that saw various tragedies and personal issues affect the material and influence her after the album was released. Look back at the albums that came before and you can see leaps and evolutions between each. The Red Shoes was a bit of a step back and, to many, remains one of her weaker albums (that and Lionheart (1978) usually get considered her worst). There are some great moments on the record – Rubberband Girl and Moments of Pleasure – but it was not on the same level as the likes of The Sensual World and Hounds of Love. Maybe there was too much pressure to change or top what had come before; a need to adapt to 1990s technology – the production was quite edgy and ‘modern’ – and take a step in a new direction. Whatever her reasoning; some were a bit cold regarding the album and it was a rather rough creative spell. People were used to gaps between albums but there was not the four/five year gap that had had come before. The Red Shoes is the only record from Kate Bush from the 1990s and, by the time the new millennium came around; many wondered whether the icon has retired and was done with music. I listen back to The Red Shoes and it is one of those albums that is sort of half-and-half: there are four of five classic Kate Bush songs that are wonderful but then the rest sits between the average and under-par. Maybe a sense of dissatisfaction and critical infidelity got to her and she needed to retrench and find some new solution. The death of her mother around the time the album came out made a huge impact and she split with her long-time boyfriend Del Palmer. It was a tough time for sure and one can understand Kate Bush wanting time to reflect and breathe. The announcement of a new album in 2005 took many by surprise, that is for sure! In the twelve years between records, to be fair, Bush was busy raising a family (her son Bertie was born in 1998) and enjoying a more domesticated, maternal life. Domesticity and a more settled nature affects the material on the double-album, Aerial. Mrs. Bartolozzi is a paen to a washing machine and cleaning. Make what you want of the potential sexual references regarding entangles clothes succumbing to suds – that sort of double-meaning and cheekiness has always been part of her work. On the album’s first side, Bush opens with the determined, hypnotic and assured King of the Mountain; she, literally, rattles off the number of pi on π and ends with the splendid A Coral Room. Although it is a fairly conventional side of music; the music and lyrics take us in a new direction. Certainty, there are few similarities between The Red Shoes’ songs and what we find on Aerial! The production on 2005’s Aerial is quite modern and fresh but has a warmth and old-fashioned naturalness that is wholly appropriate. The music has that familial and gentle quality. This is Kate Bush in a more settled and content life; she is singing about family, nature and everything around her. 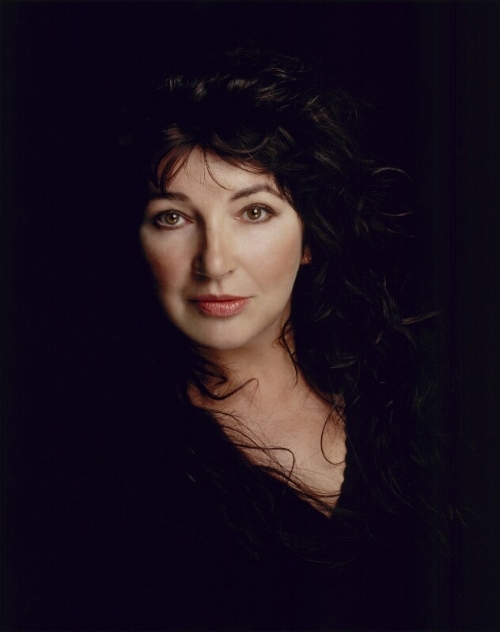 With Del Palmer engineering and Kate Bush producing – the former lovers still have a fond and dedicated working relationship – it is a record that sounds as accomplished and consistent as any she ever put out. Most artists, after twelve years away, might come back a little rusty and would take a few more records to find their former feet. If The Red Shoes was not a great fit; Aerial is a freer and more sumptuous album. There are fewer weak moments and the music is a lot richer, deeper and more intriguing. I love most of the first half but sometimes skip over Bertie and Joanni. No song on Aerial can be truly considered poor: conversely, it is one of Kate Bush’s most pleasing works and sounds like she has taken all the stresses, doubts and strains of the period after The Red Shoes and mixed them into the album! A new album from Bush, coupled with a more settled and family-orientated life, did not mean a tepid and restrained songwriter. Songs about washing machines, literally rattling off numbers and projecting the most wild and odd imagery showed she had lost none of her potent touch! An Endless Sky of Honey, the second side, is her first concept suite since Hounds of Love in 1985. Where that conceptual arc was about a woman being stranded at sea and trying to stay awake in hope of rescue; Aerial’s storyline is an immersion into the beauty of nature; an embrace of birds, bees; the sky, sea and everything in-between. Like its first side; An Endless Sky of Honey has endless warmth, grace and adventure. In many ways, Aerial’s concept is grander and more startling than Hounds of Love’s The Ninth Wave. Both relate to the natural world in their own way but there is no struggle and need for survival: a more enriched and recharged Bush is positively opening her imagination and taking the listener with her! “Aerial sounds like an album made in isolation. On the down side, that means some of it seems dated. You can't help feeling she might have thought twice about the lumpy funk of Joanni and the preponderance of fretless bass if she got out a bit more. But, on the plus side, it also means Aerial is literally incomparable. You catch a faint whiff of Pink Floyd and her old mentor Dave Gilmour on the title track, but otherwise it sounds like nothing other than Bush's own back catalogue. It is filled with things only Kate Bush would do. Some of them you rather wish she wouldn't, including imitating bird calls and doing funny voices: King of the Mountain features a passable impersonation of its subject, Elvis, which is at least less disastrous than the strewth-cobber Aussie accent she adopted on 1982's The Dreaming. But then, daring to walk the line between the sublime and the demented is the point of Kate Bush's entire oeuvre. On Aerial she achieves far, far more of the former than the latter. When she does, there is nothing you can do but willingly succumb”. “Maturity hasn’t dulled Kate Bush’s propensity for musical loopiness. Twelve years after her last album, she is still besotted by all the wonders of this good green earth. On the sprawling but focused Aerial, she is a sprite flitting across verdant, languorous soundscapes, cooing along with the birdsong and extolling the virtues of her son, the beauty of numbers — even doing the wash — all the while mesmerizing with her controlled whimsy and intricate arrangements that never overwhelm her voice. Considering the length of her hiatus, this is a remarkable surprise”. “Featuring songs about Elvis, mathematics, her son and a washing machine, the first disc rarely rises above a musical whisper. The second, a conceptual work that follows nature's course from afternoon to sunrise, slowly builds via fantastically gorgeous strings, a brief smattering of Spanish guitar, one slinky protracted groove built for "Nocturne," and a duet of laughter and birdcalls on the throbbing title track. Akin to recent Antony and the Johnsons and latter-day Talk Talk, Aerial doesn't deliver anything resembling a conventional pop tune. And this suits Bush just fine”. There was no shortage of love for Kate Bush and her marvellous return! People were keen to add their comments and, as with all of her albums; Aerial is a work that needs to be played in full and listened the whole way through. The fact An Endless Sky of Honey has multiple parts but you can only stream/buy it is a single album shows how she wants her audience to listen to each part – it would sound disjointed and odd if you picked an odd song here and there! WHY we love her so. FEATURE: Dissillusions: Is Bringing Musicians Back to Life Through Holographic Projection Morally Right?